County Tree Experts has extensive experience in the care and removal of large trees located in close proximity to structures and residences. Tree removal and trimming requires safety, planning, and experience that only licensed tree experts like ours can provide. Our company has six decades of experience in tree removal, tree trimming and pruning, and removal of uprooted trees and storm damaged trees. With that much experience, we guarantee we have the necessary skills and equipment to remove or trim your trees without risking damage to your home or property. Our crews consist of at least three employees to handle climbing, roping, and ground clean up. Each tree removal or trimming job is executed by an experienced climber who will ascend your trees and remove trimmings or sections piece by piece. Each limb or section of the tree is guided safely to the ground using a rope. The removal of very large trees and trees that pose additional risks are often removed with the assistance of a crane to further ensure safe tree removal. Once tree trimming or removal has been completed, our crew will thouroughly clean your property. We will chip limbs and sections of the tree into our trucks and haul them away to a mulching and recycling facility. At your request, we will also cut sections of the tree into firewood and leave it for your personal use. Finally, we will rake the area of your property affected by our work, remove all leaves and sticks, and blow all of the small particles and sawdust off of your sidewalks and driveway. 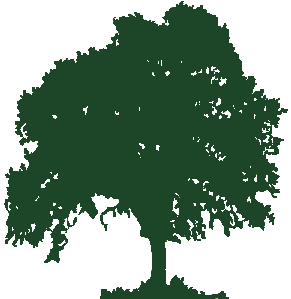 Take a look at the list of tree services that we provide to the Baltimore area. Did you know that tree service companies must have liability insurance specifically for tree care? Many "startup" businesses and landscaping companies that provide tree services are not properly insured for tree care and tree removal. If you hire someone that does not carry insurance specifically for tree care, and they damage your property, you may be out of luck or forced to sue to cover your loss. When choosing a tree care service, be sure that they have the appropriate liability coverage. Did you know that all Maryland tree service companies are required by law to have a license issued by the Department of Natural Resources? These licenses are required to protect consumers and validate a company&apos;s expertise in tree care. In addition, DNR validates the company&apos;s insurance coverage. County Tree Experts is both fully insured and licensed with the Maryland Department of Natural Resources (DNR). You can verify our licensing, or the licensing of any Baltimore area tree service, through DNR&apos;s Tree Service Search. We love Baltimore and the suburbs surrounding it, in fact, our company has called Baltimore County home for over 57 years. We&apos;ve been providing tree services to the Baltimore metro area and areas north to the Pennsylvania state line since 1955. We service the following towns and cities in the Baltimore metro area. If your location is near any of these locations but is not listed, feel free to contact us, we likely service your location as well.